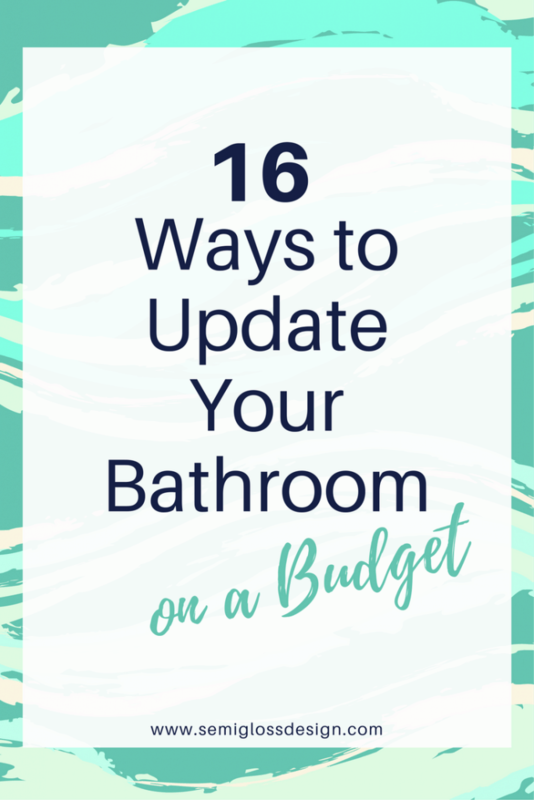 Our 2nd floor bathroom has never been at the top of our priority list for fully renovating because when we do it, we want to do it “right.” Our house doesn’t have a true master bedroom suite with a bathroom, so that’s something that we want to eventually remedy. It’s not going to happen anytime soon, though. But why wait until then to make it pretty? There’s nothing worse than trying to relax in a bubble bath and staring at a giant to-do list. So I came up with some inexpensive solutions until demo day comes. 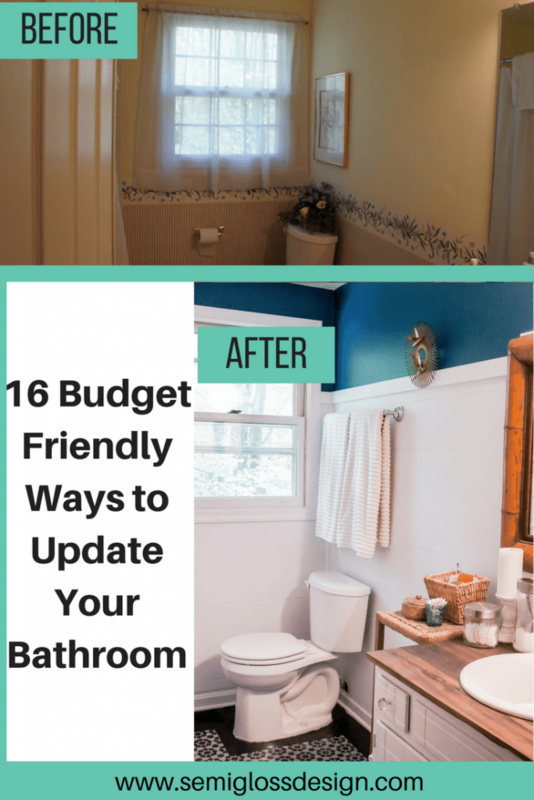 Today, I’m sharing 16 DIY bathroom renovation ideas. Change the towel bars. When we bought our house, the bathroom had shiny brass towel bars. 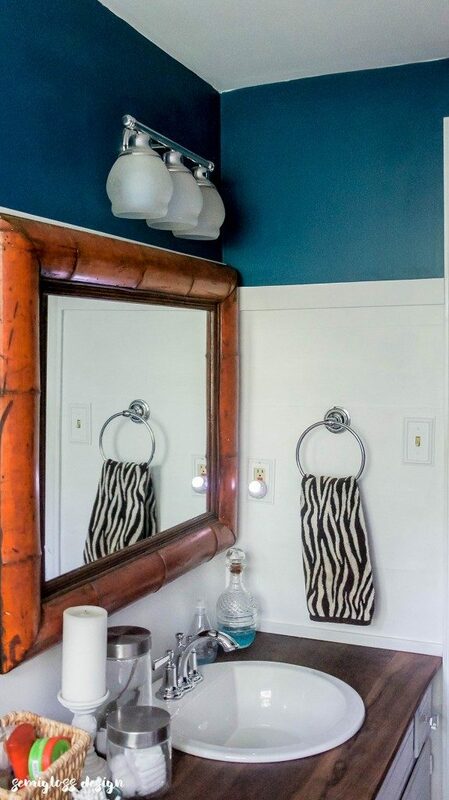 I replaced them with simple chrome towel bars that will still be beautiful in 10 years. We also added hooks everywhere. Small spaces need plenty of storage and hooks always come in handy! Paint the walls. I immediately removed the wallpaper and painted the walls. It’s amazing how painting a room can make it feel cleaner. Update the light fixture. My old fixture was a special mixture of wood and shiny brass. Bathroom light fixtures are fairly inexpensive to replace. If you don’t want to replace the whole fixture, you can change the globes! Paint the vanity. My bathroom was beige on brown on cream. So everything got painted white. 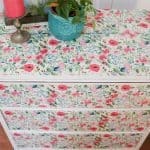 Paint is inexpensive! If you hate it, why not paint it? Paint the floor. 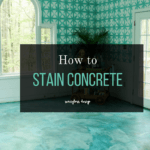 With proper preparation, a vinyl floor can be painted. My floor still looks amazing, a year later! Change out the mirror. There’s no need to keep a builder grade mirror. Every box store has framed mirrors for cheap. Look at thrift stores as well! PS. You can build frames for builder mirrors! 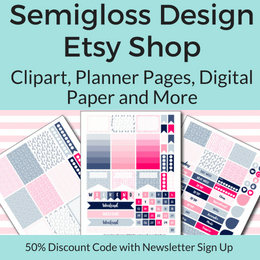 Get a pretty shower curtain. I wanted to create a relaxing feel to my bathroom, so I bought a pretty white shower curtain with fun details. 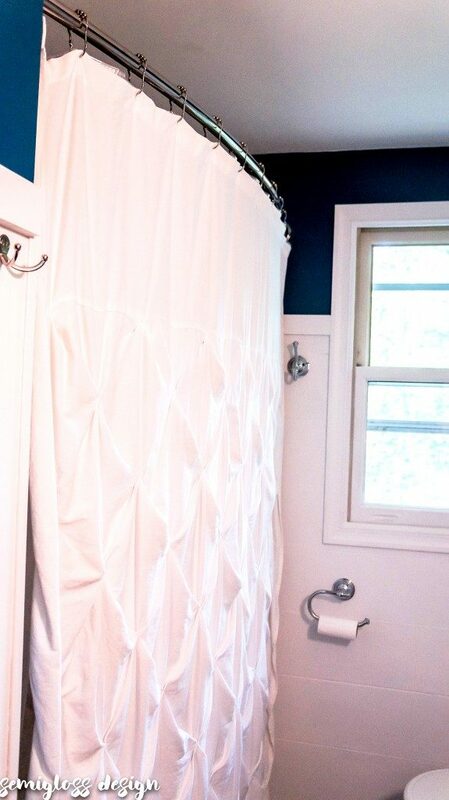 Shower curtains cover the biggest part of your bathroom! Make sure it’s pretty! Bonus tip: We added a curved rod to make the shower feel a little larger. Add art. In this bathroom, I don’t have any art besides one thrifted brass piece. 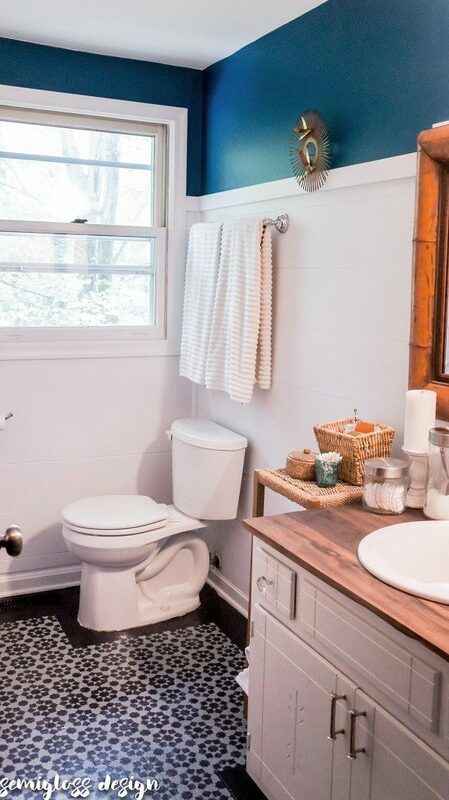 But, art can add beauty to a boring bathroom. Add a wall treatment. 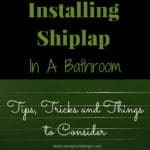 I added shiplap to this bathroom to hide damaged walls. The subtle texture makes white walls feel special. 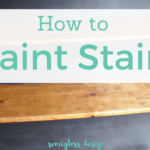 Change the countertop and/or sink. This is a little more expensive, but it’s worth it to update something you absolutely hate. We made our own countertop to cut down on cost. The wood adds such a warm feeling to the space! Change the faucet. Goodbye brass! Hello shiny chrome! Add pretty towels. 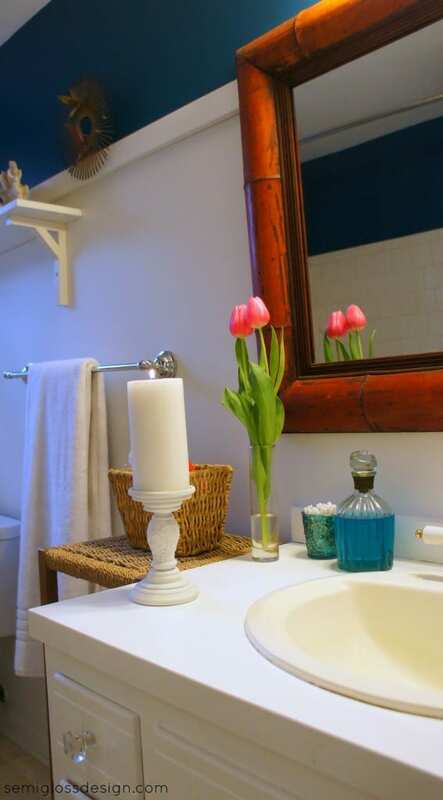 Adding pretty towels is an easy way to update your bathroom. White gives a spa like feeling. 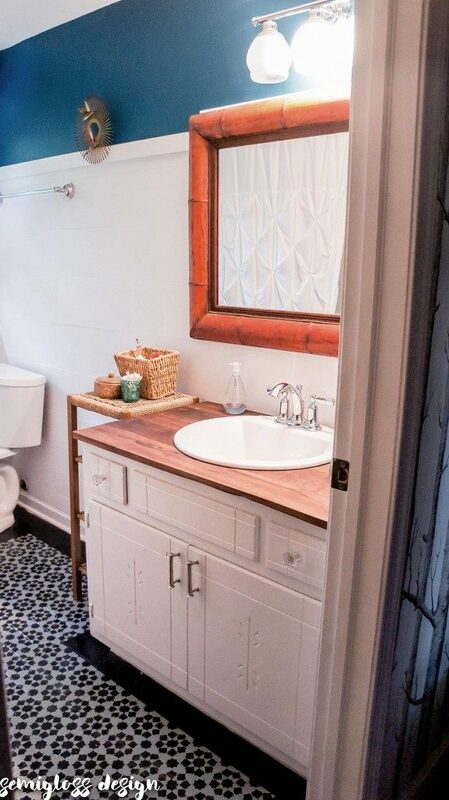 For a fun touch, I always add patterned hand towels to my bathroom. Add fresh flowers. Or fake. I don’t judge. Greenery adds life and makes a room feel more luxurious. Old picture taken when I had painted the counter. There is NOTHING that you can’t paint! Use pretty containers. I like to store stuff that I use a lot in pretty containers. Mouthwash gets decanted in a vintage liquor bottle. Q-tips get stored in a small votive holder. Epsom salt is stored in glass canisters. Other necessities get hidden in a wicker backer. Update the hardware. Changing out your knobs on your cabinetry (and doors for that matter) is super easy. My favorite places to get knobs is Anthropologie (check the clearance) and D Lawless. Don’t forget the light switch covers! One day I’ll get around to switching all of my switches and outlets from cream to white, but for now, pretty covers distract the eye from that. Even inexpensive covers can make a difference. 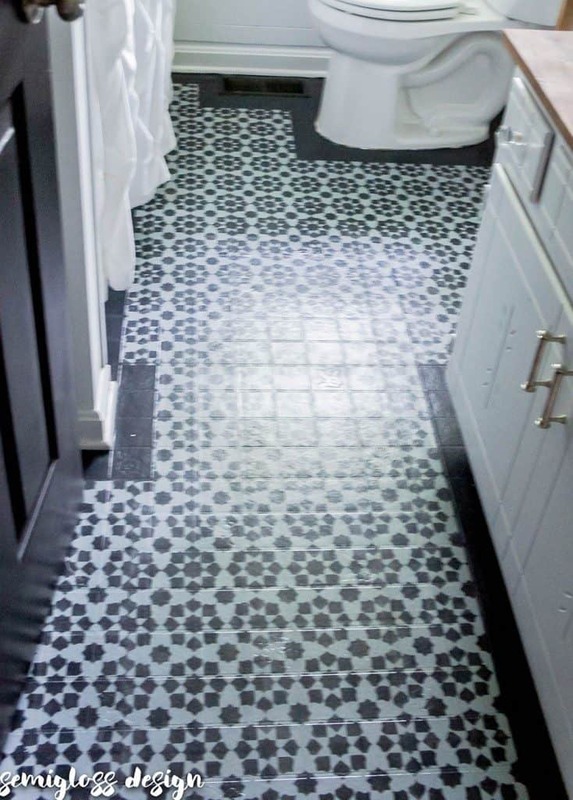 What is your favorite idea for a DIY bathroom renovation on a budget? These are some great money saving tips! Thanks for sharing! 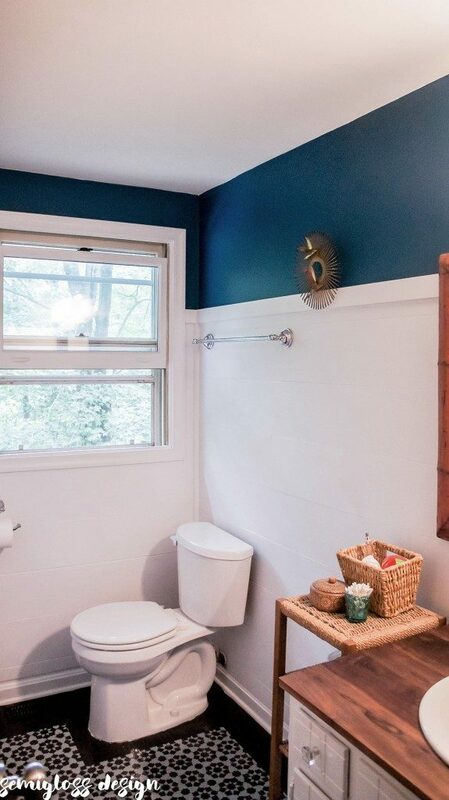 You did an amazing job on this bathroom, I love, love, love, that blue paint color in contrast with the white shiplap. The whole room looks fresh and beautiful.